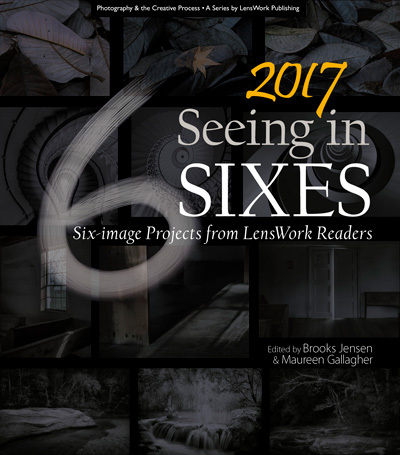 We wish to thank ALL of the photographers who entered their projects in our 2nd Annual Seeing in SIXES book competition. Just like with the first book, we expect this book to also provide an important and substantial survey of photography from the LensWork community — and hope that all who participated came away with an artistic exercise that will benefit your work! Once again, the enthusiastic response from the LensWork community provided a diversity of excellent work. We selected 50 entries from these photographers to fill 300 pages. Congratulations!